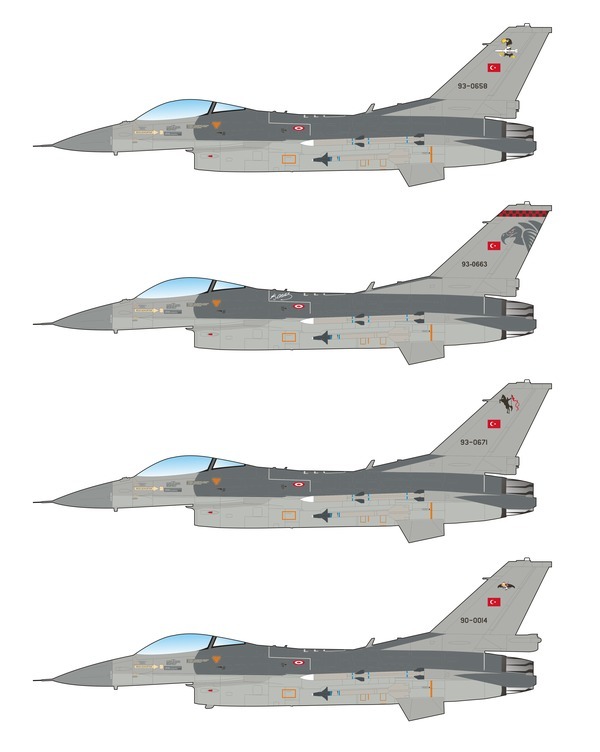 The Turkish Air Force has been an F-16C/D operator since 1987, and flies one of the largest F-16 fleets in the world after the US. 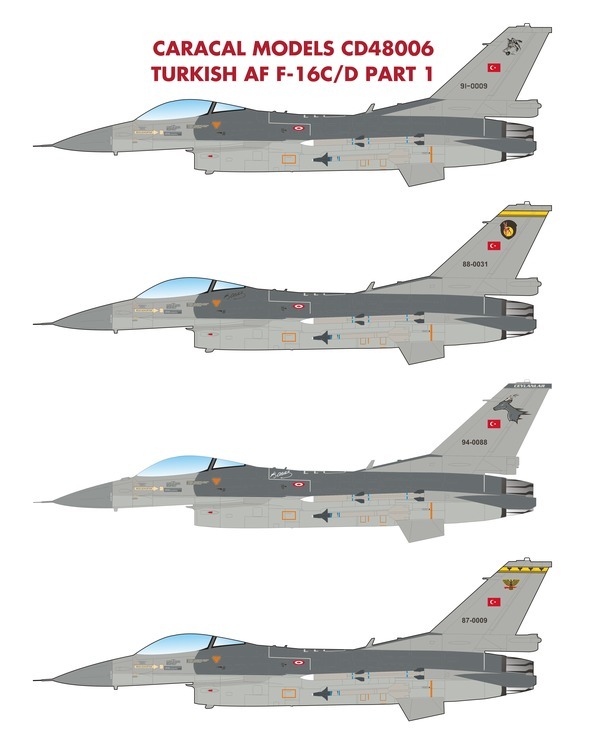 This decal sheet is the first one of a series of two sheets which will allow you to build single or twin-seater F-16s from every Turkish F-16 unit since mid 1990s, when colorful squadron insignia started appearing on these aircraft. 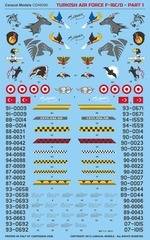 This decal sheet is based on extensive research and we are confident that these are the most comprehensive and accurate Turkish Air Force F-16C/D decals ever designed. A set of stencils/maintenance markings are included. This decal sheet is professionally silk screen printed by Cartograf in Italy. We will start shipping this decal sheet on January 15, 2016. You can preorder this decal sheet securely with your credit card or PayPal account now. The stencilling sheet is available separately. 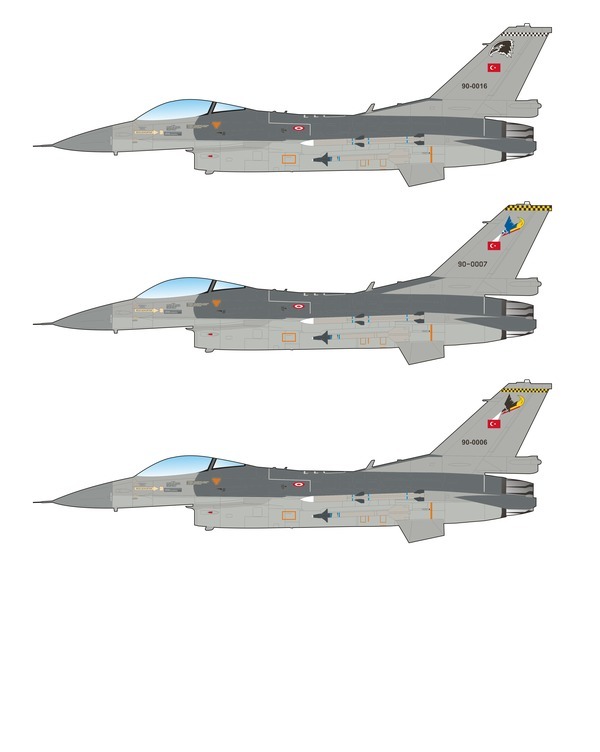 Additional stencilling sheets will allow you to build multiple Turkish AF F-16's using only one set of CD48006 or CD48007. Price includes free US shipping. International shipping is only $3 extra. Texas residents pay 8.25% state sales tax.